If you’re like me, you have hundreds of adorable photos of your children and not nearly enough room to showcase them. My shelves were becoming too full of frames and it’s a pain to frequently switch out photos in frames. I wanted a way to easily display and change photos while conserving space. 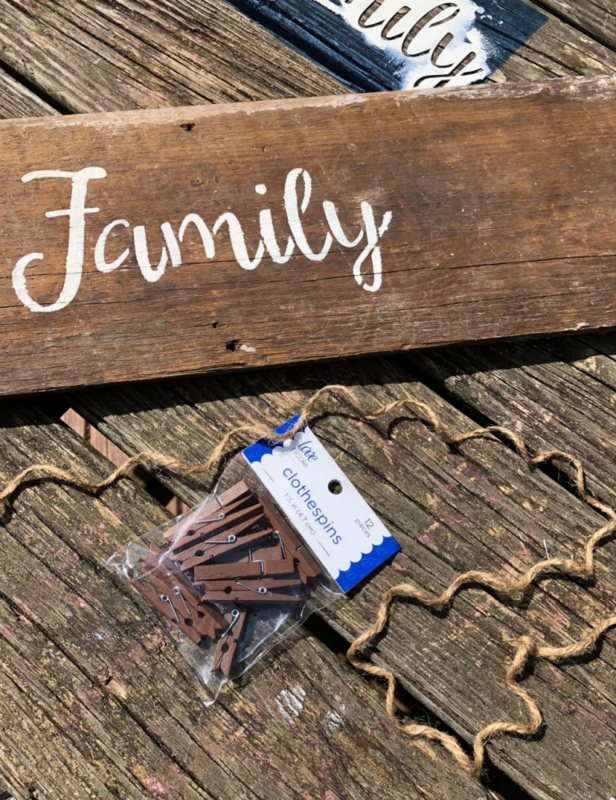 Enter this easy DIY wooden photo hanger! In under an hour, I created this beautiful piece that allows me to clip on multiple photos for display and replace them effortlessly! 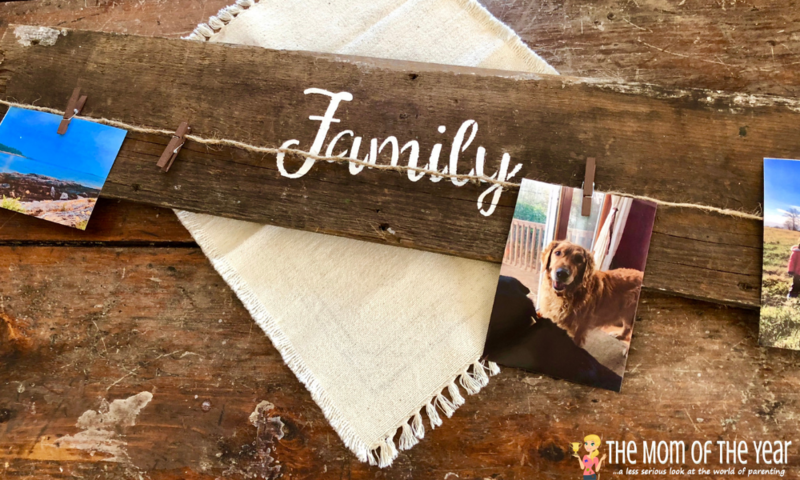 Made with items that can easily be found in your home or at a craft store, this DIY wooden photo hanger is a budget-friendly project that doubles as the perfect gift for any friend or relative. 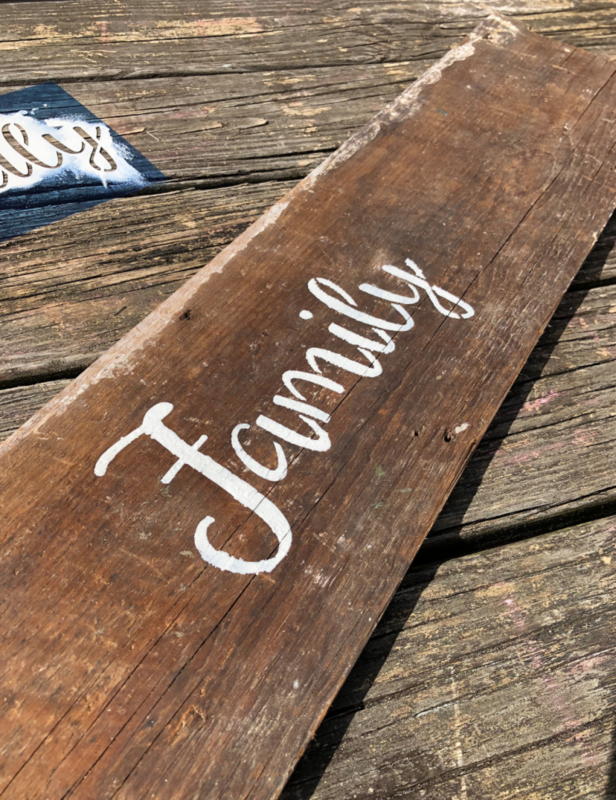 If you’re not using reclaimed wood, stain your wood to your desired color. New to staining? Here is a perfect staining tutorial to get you started! Turn over wood and hammer two picture hanging brackets on either side. 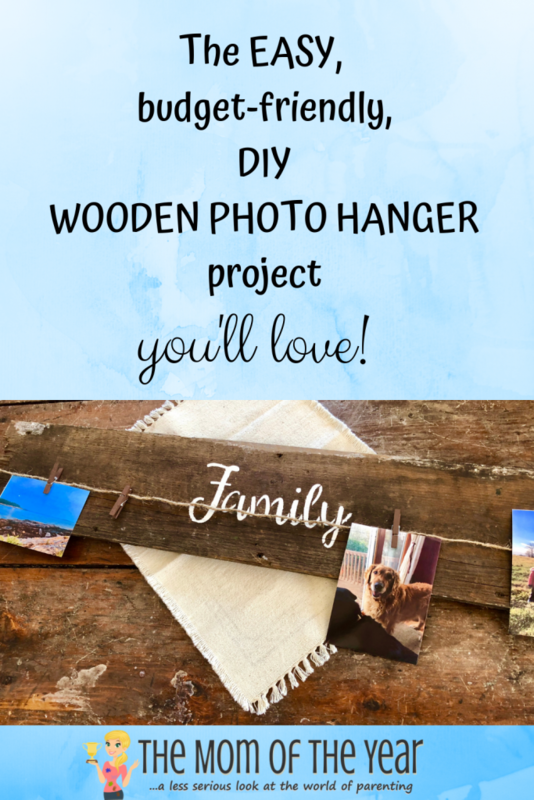 Having two will add more stability and security to your DIY wooden photo hanger. 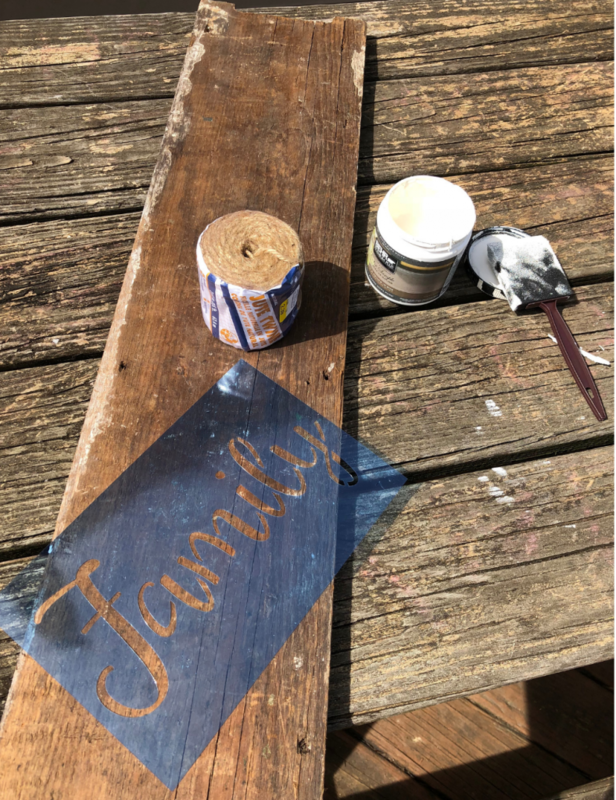 Place stencil on front of wood and using a foam brush, begin to paint. 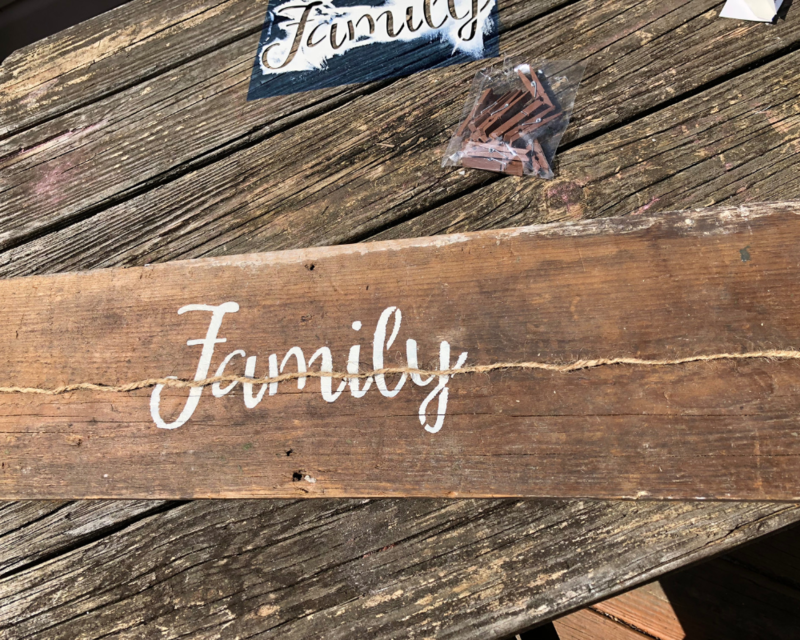 Since this will be used indoors, any type of paint will work. I used leftover paint from my interior walls, but you can also use craft paint as well. 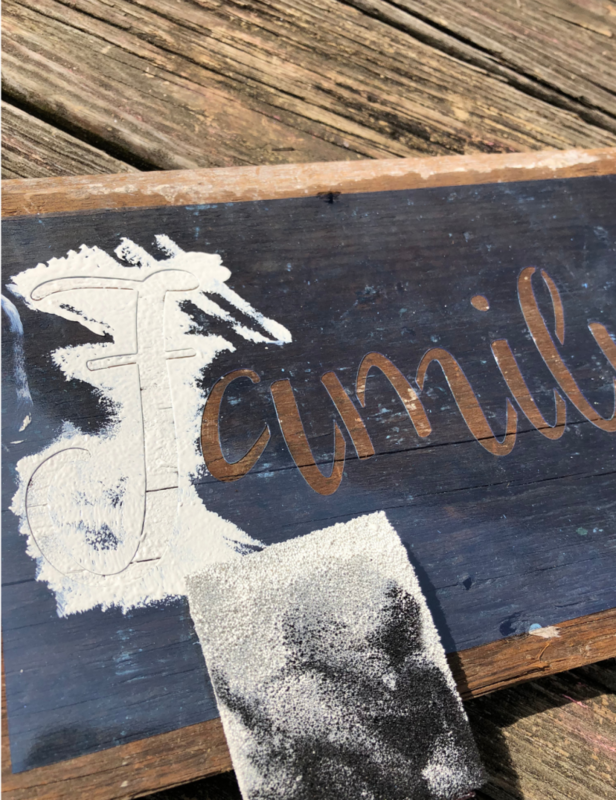 I prefer a foam brush when stenciling as it gives a more flawless and even finish to the paint. Once your piece is dry, decide how many pieces of twine you will be using and cut them to size. If your wood is large enough, you could even have two layers of photos. You will need the twine to wrap around the back of the wood when securing it so keep that in mind when sizing! Take staples or a staple gun and on the back of your wood, secure your twine. If you do not have a staple gun, using a small hammer for the staples works well. Clip mini clothespins to the twine. 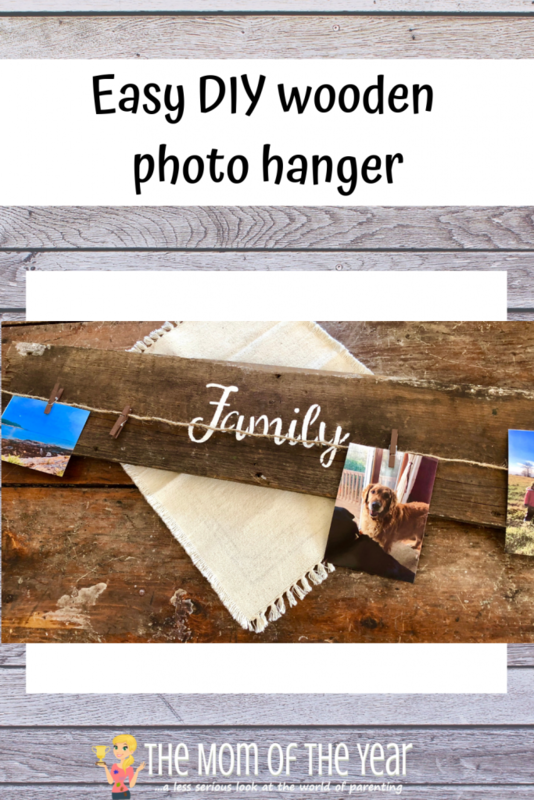 Then comes the best part–choosing which photos to hang on your new easy DIY wooden photo hanger! I love how this fits into the farmhouse theme of my home but also allows me to see my children’s silly photos. I can even hang school artwork from it as well! Changing out photos is super quick and my children love being involved by hanging their own photos. The best part about this photo hanger was how simple and easy it was to make. Now I can replicate it as gifts for family and friends that are sure to please. 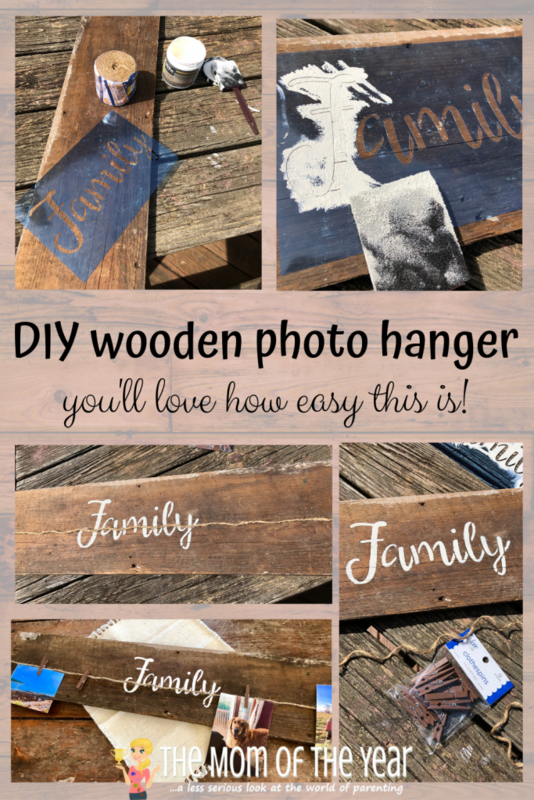 Have fun crafting your own DIY wooden photo hanger, friends! I love this! It looks so easy too! It was my easiest project to date!